MISSOULA, Mont. –Just a gentle reminder that the Outdoor Writers Association of America’s mailing address has changed. Due to no staff in Missoula, Montana, the board and executive director have elected to shutter the OWAA offices. If you have any questions please call or email executive director, Brandon D. Shuler, at (832) 603-3787 or brandon@owaa.org. Please update your contact information for the OWAA and please remember to renew your individual membership or supporting group dues today. Post this announcement on your social media to help get the good word out about OWAA and recruit new members! Click on these links to share the news: OWAA is The Voice of the Outdoors®. 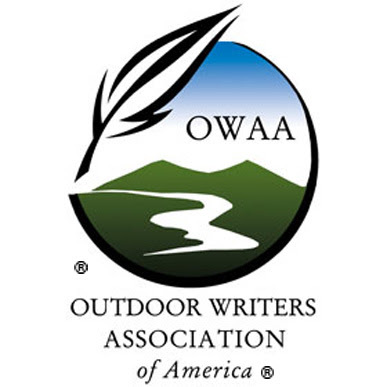 The Outdoor Writers Association of America® is the oldest and largest association of professional outdoor communicators in the United States. It was organized in 1927 by members of the Izaak Walton League of America and includes professional communicators dedicated to sharing the outdoor experience. OWAA’s professionals include writers, photographers, outdoors radio- and television-show hosts, book authors, videographers, lecturers and artists. The association is headquartered in Missoula, Montana. For more information, contact Outdoor Writers Association of America, 615 Oak St., Ste. 201, Missoula, Montana. 59801; 406-728-7434, info@owaa.org; www.owaa.org.